Weekends for us are family time and we try to get out and do something, especially when the weather is nice! 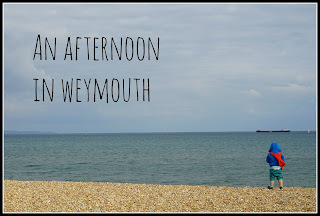 This weekend we decided to go for a drive down to Weymouth in the afternoon - there was a bit of a chill in the air but most importantly it was dry!! 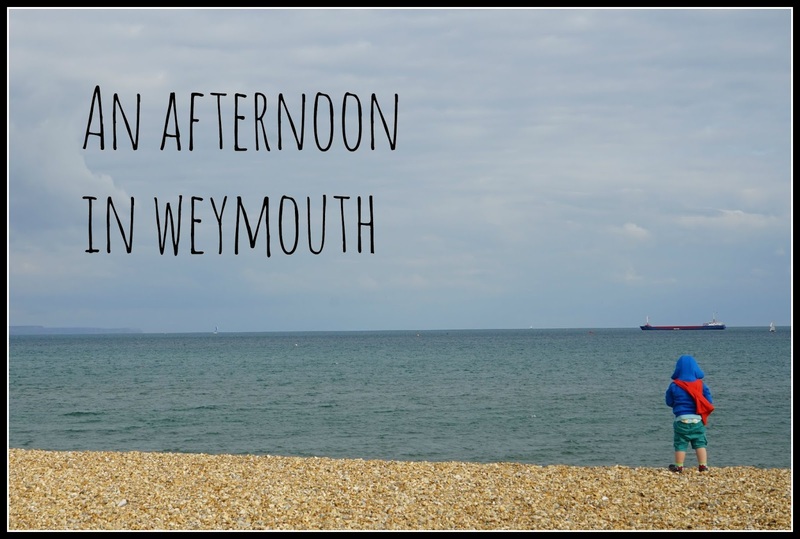 Weymouth is a busy seaside town situated a little further down the coast from Poole where we live. 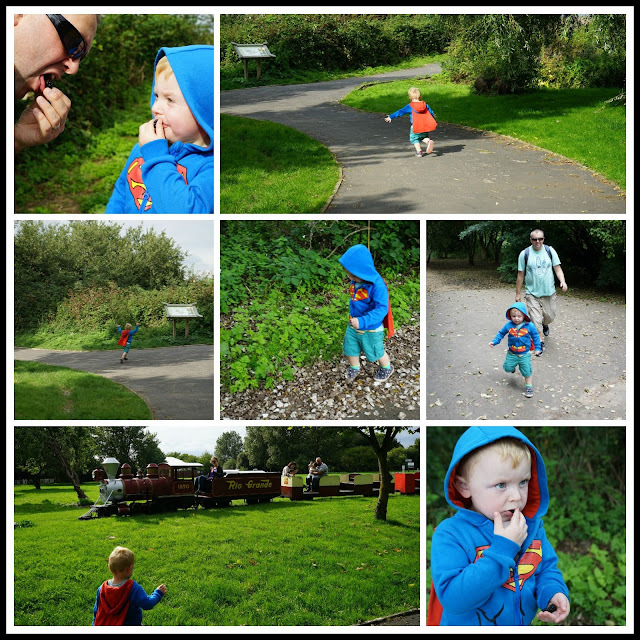 There is lots to see and do but we decided to visit Lodmoor Country Park which we've never been to before. There is plenty of parking at the Country Park and it's free after 6pm so we only needed to put a couple of hours on as we arrived late afternoon. We headed straight to Leisureranch which is a small area containing go-karts, a giant slide, and various other rides. Elliot was a bit small to go on the slide so he went on the little cars..
We headed over to the country park and followed the short walk around the events green. We spotted a little train going round so Elliot couldn't wait to go on that! It felt very Autumnal with crisp leaves on the ground and lots of blackberries in the hedges. Well there were a lot less blackberries by the time Elliot and my husband had finished foraging! 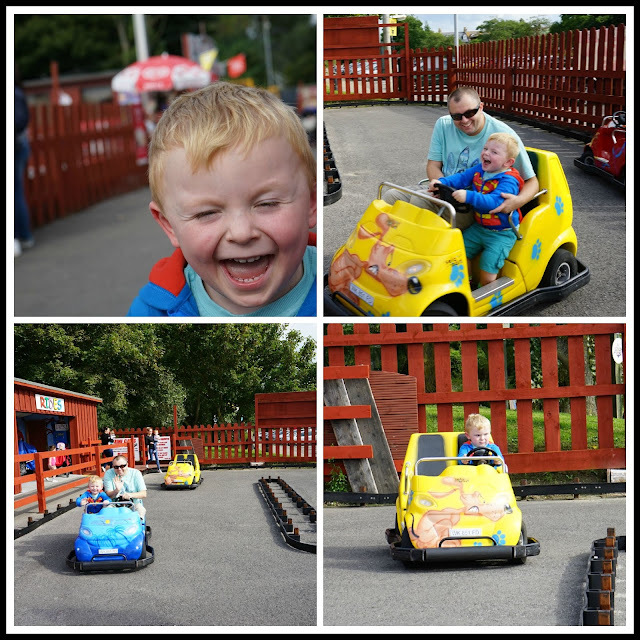 Once we'd finished our walk we jumped on the little train, it wasn't the quickest of trips but Elliot loved it, especially the tunnel! We'd like to visit the country park another day because there was lots we didn't get to do like the Sealife Centre, Pirate Adventure Mini Golf, an RSPB nature reserve and Sandworld. We were a little early for our 5pm reservation the the Brewers Fayre pub (review coming soon!) so we crossed the road and spent some time on the beach. 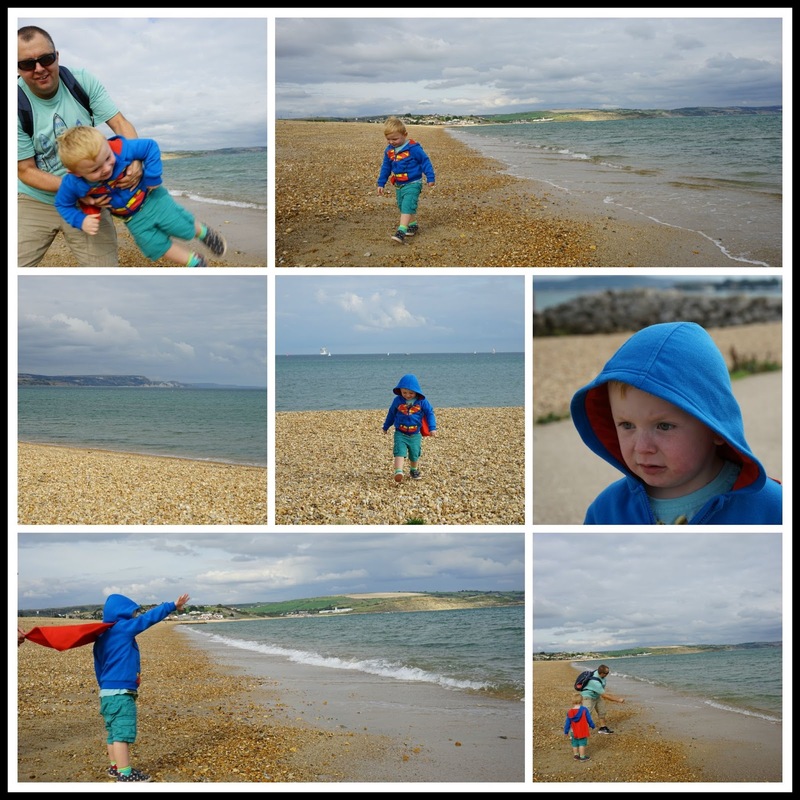 It was very pebbly and nothing like the golden sands of the beach further on round by the town but there was something quite relaxing about watching the waves lap the shore whilst the boys skimmed stones into the water! I did risk dipping my toe in the sea but it was FREEZING!!! It looks like you had an amazing time! We had a poorly weekend this weekend, so stayed pretty close to home under duvets and watching telly. Sometimes you just need to do that too.